Tabitha is a board-certified Family Nurse Practitioner who provides family-centered healthcare to patients, ages 15 and older. Her scope of practice encompasses health promotion, disease prevention, diagnosis and management of common and complex health care problems. She began her career in health care working as a certified nurse assistant while attending nursing school. Since that time, she has accumulated twenty-six years of nursing experience and education in various areas of patient care. 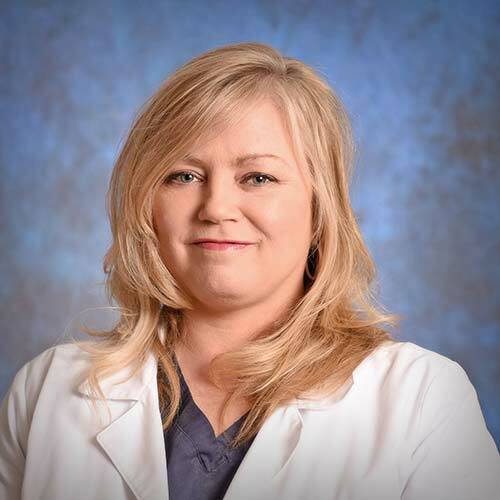 Her degrees include an Associate of Applied Science from Northwest Shoals Community College, Bachelor of Science in Nursing and a Masters of Science in Nursing from the University of Alabama in Huntsville. Tabitha believes in building long lasting and trusting patient relationships. She seeks to acquire a comprehensive evaluation of every patient by taking the time to listen and understand their specific needs. Her true desire is to enhance a positive healing experience and confidence to those in need.